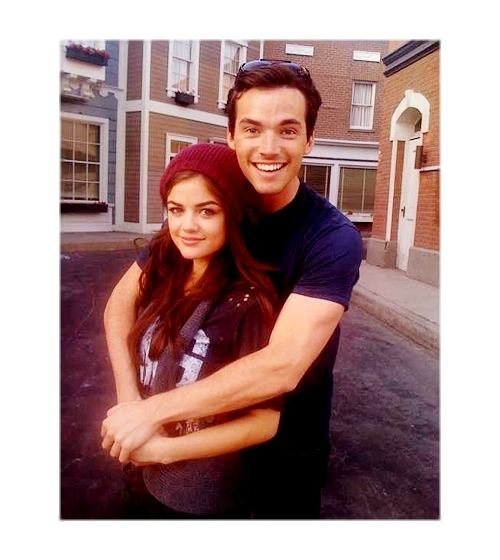 Ian Harding Lucy Hale. . Wallpaper and background images in the Pretty Little Liars TV toon club. aaaaw <3 I love those two! is that the guy that played ezre fitz???? Love it guys so cute You can tell there close friends.